OILP – Oregon Industrial Lumber Products, Inc.
Oregon Industrial Lumber Products, Inc.
Oregon Industrial Lumber Products has built its reputation selling on grade, superior wood fiber. Oregon Industrial Lumber Products is a great place to purchase multiple clear products all in one place. special patterns and mouldings that have tight tolerances. sure it meets our high standards. 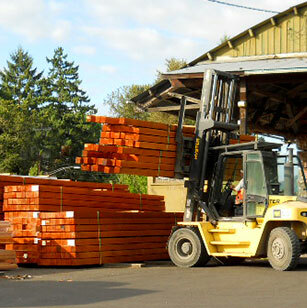 Oregon Industrial Lumber Products has been providing high quality lumber for over 60 years. It’s been family owned and run by the McDowell’s since 1983. We specialize in high end kiln dried Douglas Fir and Yellow Cedar lumber. We keep both a rough and surfaced inventory specializing in Vertical Grain products. Our commitment to quality, while being consistent, is what has earned OILP its great reputation. Our quality is due to having the whole manufacturing process occurring under our control. Everything from sawing, sizing, drying, surfacing, and grading takes place at our facility. Located in Springfield Oregon, OILP has been running since the late 1940s. The current facility has one inline twin ban re-saw, 6 kilns, a tenoner, a precision end trimmer, and five moulders including one thirteen-inch-wide moulder. We carry an inventory of S4S boards, flooring, rough stock, timbers, and industrial clears. We can also run custom sizes, Tongue and Groove, end match, and paneling, along with various other patterns. Family owned and run since 1983, Oregon Industrial Lumber Products has a long history of creating high quality wood material. Our facility has all of the key components for making high grade clears. 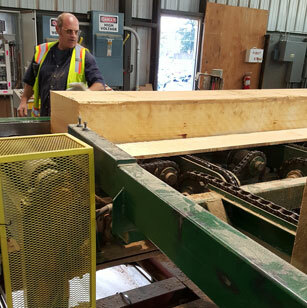 By having a inline twin band resaw, stackers, kilns, moulders, and a planer, Oregon Industrial Lumber Products is able to control the entire process from Flitch to finished boards. 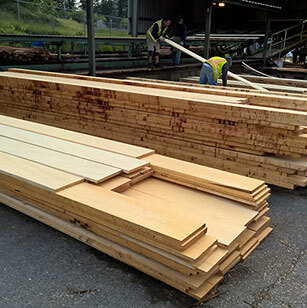 We process Douglas Fir and Alaskan Yellow Cedar into a large variety of rough and surfaced material. Specializing in C & Better Clears under the Finish and Industrial Clears grade rules. Our products range from Timbers to Flooring.